What did we do for WCGCo? West Coast Grocery plays homage to owner Charlie Hyde's family lineage in the grocery business. West Coast Grocery has been in the Hyde family since 1891 and while the company has been in the grocery business for the past 100 years, Hyde's plans of carrying on the name have slightly altered. Instead of stopping by your corner store for a pound of sugar you can stop by and get a pound of beer. This all played into the inspiration and design of the space to pay respects to what the family had started so long ago. 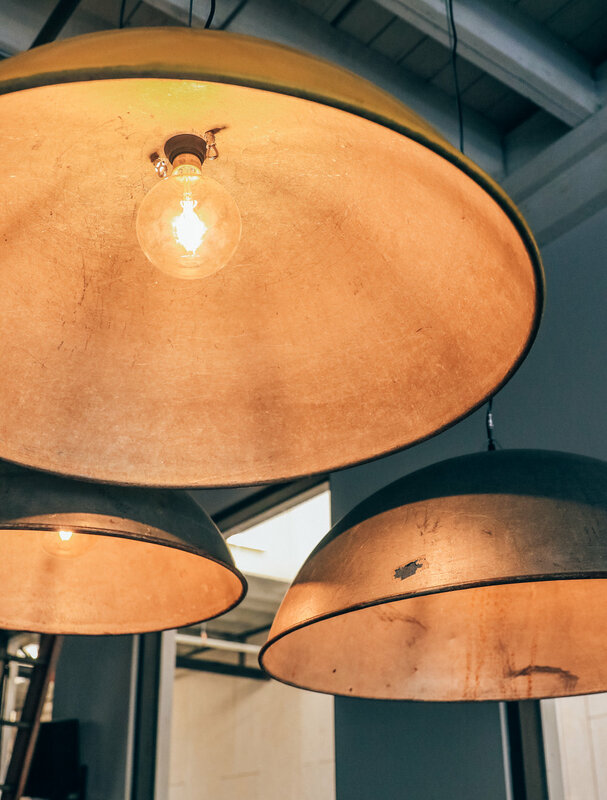 You will see throughout the space the use of materials that can be closely tied to that of your old corner grocery store. 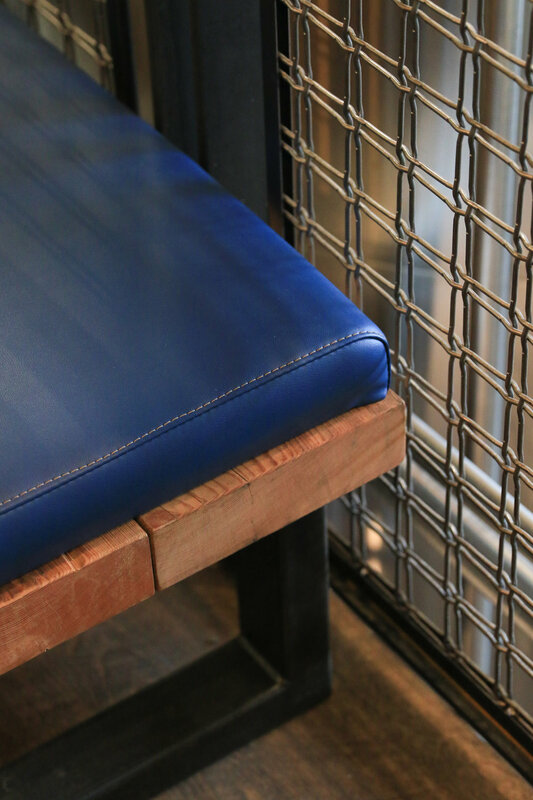 All the reclaimed wood used for the furniture was actually taken from old beams and joists in the brewery before the remodel began. 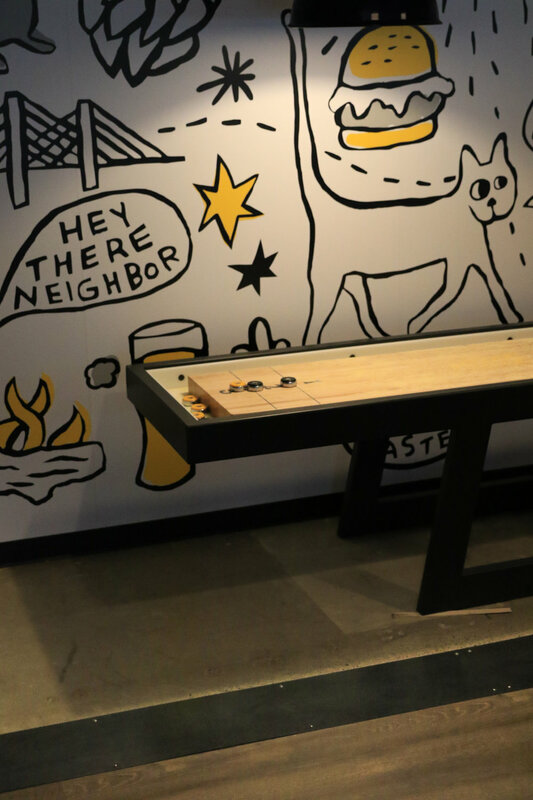 In addition the brewery has several levels providing a unique experience for the customer to be a part of the brewing process no matter where they sit within the space. 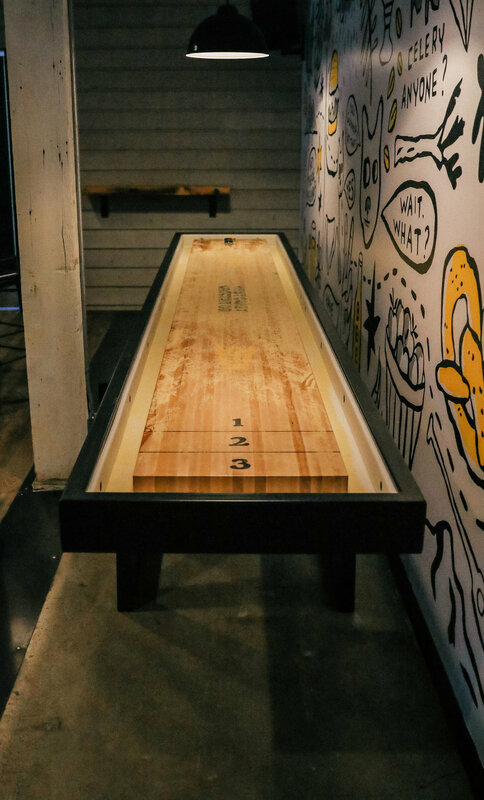 Another one of our favorite elements is the shuffleboard table. You will find a unique steel base, butcher block playing surface and cut board bumpers. Stop and Sip IPA - They’ve only been open for about a month so we look forward to trying each and everyone of the new brews they create each week. Mac + Cheese & Fries with House made cheese sauce.